We’re celebrating the New Year with two beautiful new free themes: say hello to Boardwalk and Sela. We’re celebrating the New Year with two free themes: Boardwalk and Sela. Designed by yours truly, Boardwalk is a clean, simple, and responsive theme. Powered with horizontal scrolling and built around large featured images, Boardwalk is the perfect choice for photobloggers and those of you looking for an unconventional — yet elegant and creative — theme. Learn more about Boardwalk at the Theme Showcase, or preview it by going to Appearance → Themes. Sela isn’t your typical business theme. It’s a vibrant, bold, clean theme with lots of space for large images, designed by WordPress.com’s own Ola Laczek. Sela puts the focus on your business with a bold front page template, a grid page template to showcase your products or services, and integrated testimonials. To make your website truly unique, you can upload a logo, customize the background, and choose a color scheme from default color palettes. Sela is the perfect canvas to tell your company’s story and looks great on all devices, from desktop to mobile. Take Sela for a spin – visit the Theme Showcase to learn more, or activate it on your site by going to Appearance → Themes. What a wonderful start for 2015. I am a fashion bllogger on the search for a new theme. Any suggestions? These seem not to work for me. 2015 would do if the sidebar would be on the other side and the fonts were different. For a fashion blog, you might want to look for a theme that puts the emphasis on images, like one of the photo-oriented themes. Is this a new recommendation for users? I’ve spent a fair amount of time in the forums and community pool during my 18+ months here and it feels like people have usually been directed to the community pool for questions like this. I just went to the forums to find examples to link and found that you were providing answers in recent threads. Since you’re a WP employee, I trust that you’re doing things as they are expected to be done. However, I think it may be unclear to a lot of people where they should go for what kind of assistance. Looking at the list of recent threads in the themes forum, most people probably wouldn’t guess that such a question would be appropriate. Thanks for the suggestion, Kathryn P. I am also pretty wordy, but I will have a look at them. Yay! Two more free themes to explore. Love you guys for producing such beautiful and functional themes with great features. Keep them coming. I will try this out of curiosity, though I think it is better suited for business blog than mine. Boardwalk looks like a terrific choice for a theme (probably because I’m swept away by your cool demo pictures, ha). I’m going to bookmark this one for when I get to “change theme” on my project list! These both look fabulous and I am planning to explore a new theme soon. A little while ago, I was experimenting with different themes and there was a way to apply the theme to my blog just to try it, without it going live (rather than the live demo button). Does that option still exist? I just switched to Sela, which is so similar yet much better than my previous theme, Goran, and I’m very happy with the results so far! I can’t wait to play a bit more with my customisations and see how I could make it even better 😉 Thank you for this. Both themes are amazing. I am planning to switch my theme to Sela. If you create a front page how do you see your actual “blog” content on the standard blog page wordrpess made originally? How do you link it in the top of the page when you can really select it as a page? 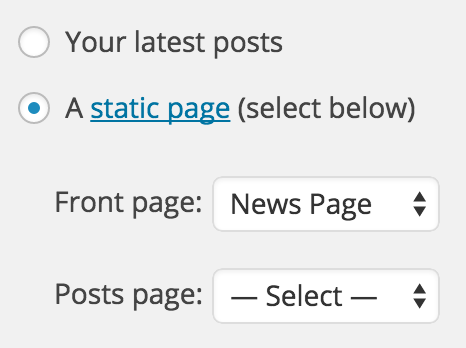 From your Dashboard, you need to set a Posts Page over at Settings > Reading. You can add this page to a Custom Menu from Appearance > Menus. Boardwalk theme is interesting! Love the unusual horizontal scrolling and the choice of 3 colour scheme. Would love to make a switch but find that featured images are squashed in the tablet version. And also prefer a 3-column format for the primary menu. I prefer Sela , I think that it’s more female and professional . I have added Sela to one of my business blogs. I am testing it out to decide whether it will replace Motif on all of my business blogs. So far, it seems promising. I have also added Boardwalk to my test / challenge blog and I really love the way that individual posts appear, but I will need to put in a lot of work to fix the appearance of the blog page, seeing as I don’t have a featured image for every post and the resolution of the images are not quite high enough for this theme (I previously used Tonal). These themes are two of the best free themes that I have seen in terms of fonts. Those seem like great themes – are the free? Is Sela theme available for wordpress.org? I can’t find it. Thanks so much for these themes for the new year! They are both so lovely and high quality. At the moment I’m trying Sela and really impressed with its functionality. My only difficulty is that it doesn’t have a Portfolio page option so my portfolio items aren’t visible – is there some way to have portfolio support in future or will I need to manually repost portfolio items as pages in the Grid Page template? Love the Boardwalk theme, but wonder if the free theme could be used with text instead of an image on alternate front page posts….and if so how is it done? The blog page only displays the date, the title and if there is one, the featured image. I LOVE Sela! How do you add pages below the home template as seen in the demo? I like it, good job Sela ! boardwalk is best for me, thanks! Wow, both nice themes, and for free. I think that Boardwalk really stand out. Boardwalk looks stunning. I hope some bloggers out there can fulfil its wondrous potential! Both themes are awesome & a good start to 2015. Can we have some more themes on ‘wedding’ or ‘dating’ with sliders if possible? It would be nice to change the look every year or so. Thank you for the creative efforts in all the themes on display. What fonts are being used in Sela? They work so well with the theme! I am currently using Nuntius & I tried the Boardwalk preview but could not see all the articles posted so far as it does not have categories. Also wanted to know if we can have ‘authors’ & ‘about us’ tabs. I also could not see the default vertical bar to add widgets below the horizontal scrolling. Is this a limitation with this design? To have the same result as the demo site, you will need to select the “Your latest posts” option. ‘authors’ and ‘about us’ are part of the menu. In Boardwalk the menu is located behind the menu icon (three horizontal lines) in the header. Same for the widgets. I am aware of selecting the latest posts but it shows only posts on the news page, not all of them, anyways thanx & I will use the menu to add categories so visitors have access to all the articles. Has anyone else been having issues with site tracking and the Sela theme? I am in the process of moving to wordpress from another blogging site, and have been playing with different themes. Since changing to Sela, my site has stopped tracking visitors. Friends that have been checking the site to give me theme feedback aren’t tracking. We even tried having them use devices not previously used to visit the site. Still no tracking. Suggestions?